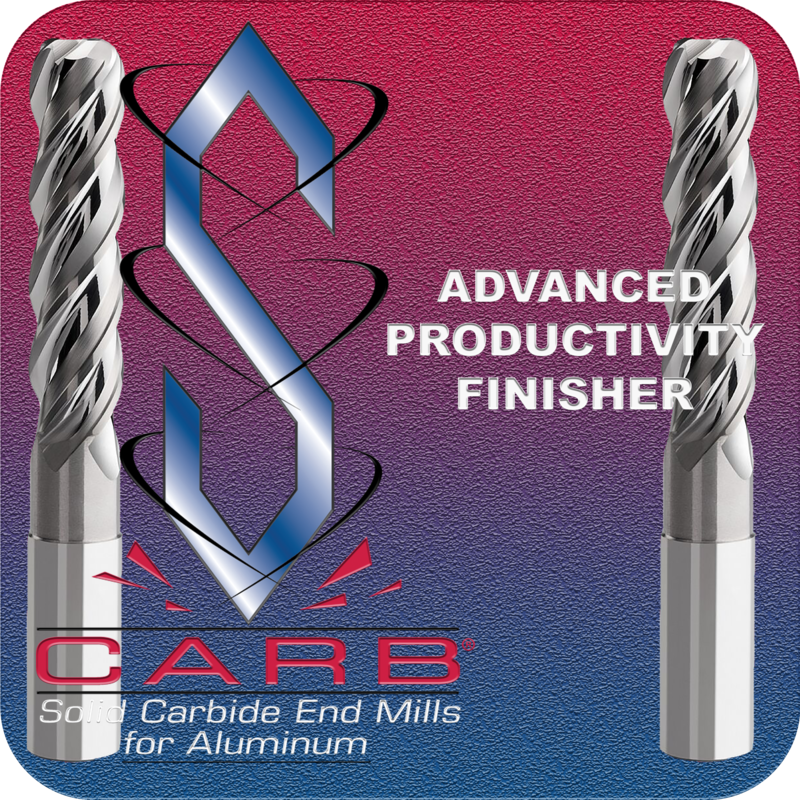 The S-Carb Advanced Productivity Finisher (APF) is a four flute unique variable geometry finishing end mill. The APF out performs the traditional waterline method of thin-wall machining by over 60 times, with straighter and thinner walls. The APF is the authority in aerospace aluminum finishing and has set the global standard for part quality, cost, and tool life. The KSPT Advanced Productivity Aluminum program has redefined what is possible in aluminum machining with the APF and sibling tool the APR. Ti-NAMITE-B ceramic-based coating with industry leading built up edge protection.